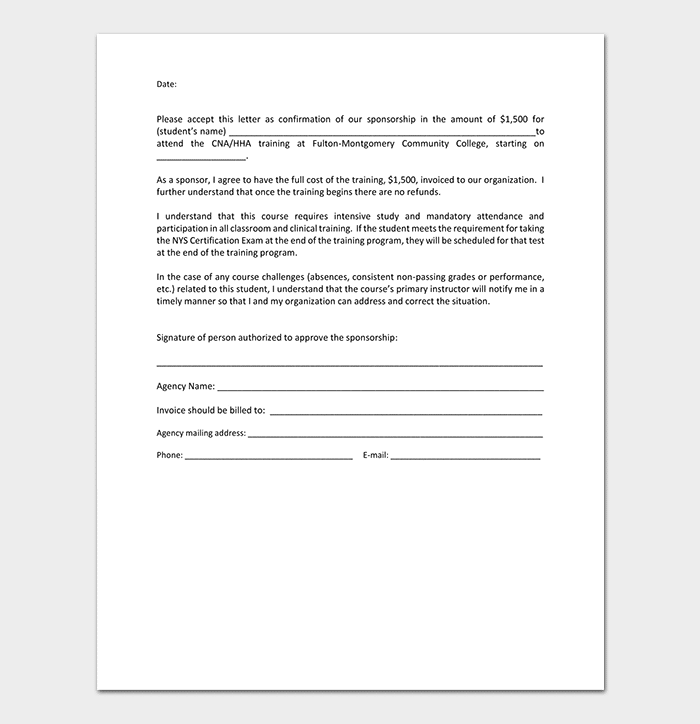 This is a letter written to an organization or to a specific individual to request for money or some goods and services; they do this in exchange for helping them promote their companies. 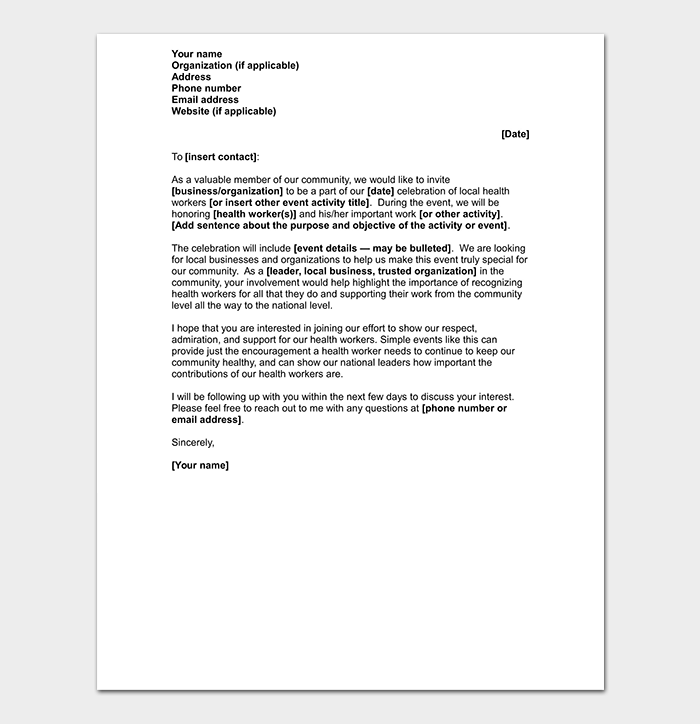 This letter can perfectly be written by keenly following the guidelines in the sponsorship request letter sample, failure to do this; it might lead to a poorly written letter or failing to mention some important aspects of the letter hence leading to rejection. 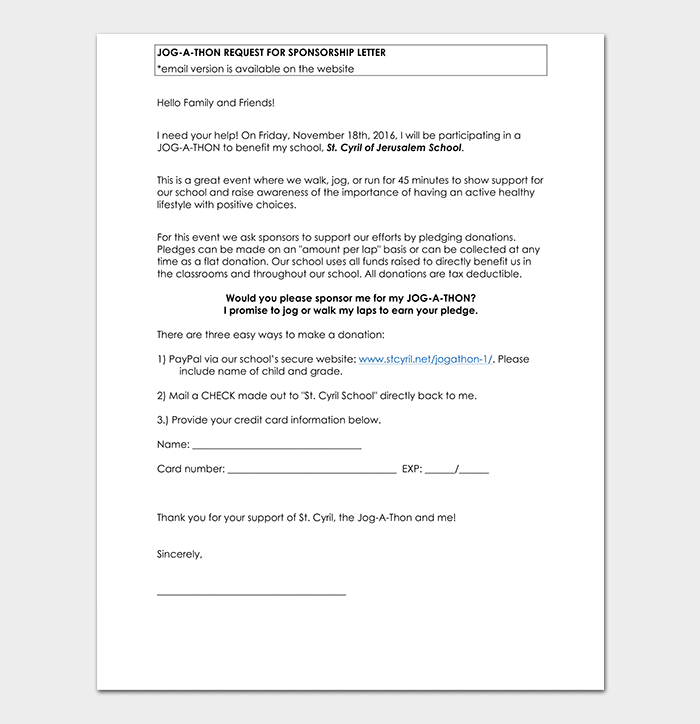 Express gratitude and add your phone number so that they can easily contact you just in case they are willing to go forward with your sponsorship. This is a letter written by an individual that is sponsoring your visit to another state. 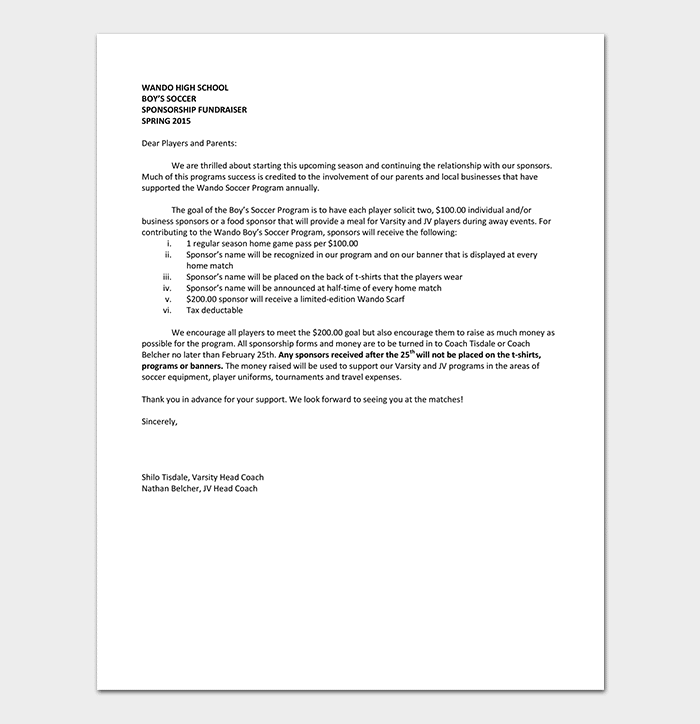 This letter is important because if you do not show proof of your funds or fail to provide a convincing reason why you need to travel to that particular state, then this letter will tackle the problem for you because it has all the information the embassy may require. 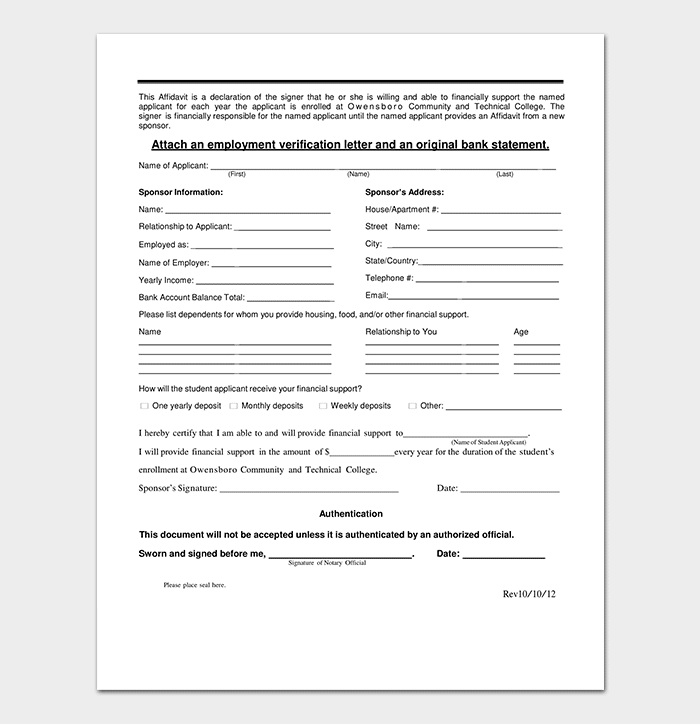 This a letter written to a bank by an organization seeking for financial support, with this, an individual has a higher chance of getting the monetary help he or she needed. 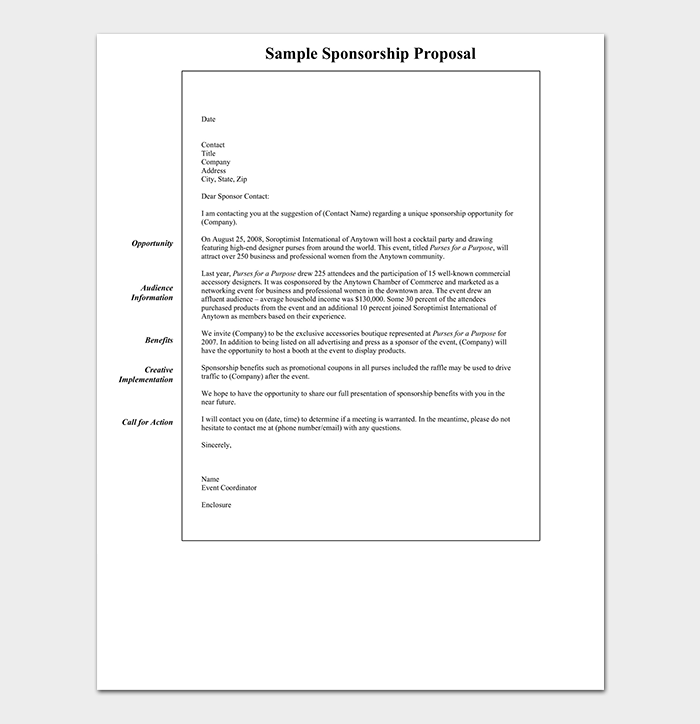 This is a letter written by a school or a student to ask for sponsorship from companies or organizations, if the school was facing some financial problems then the organization in question offers them the sponsorship, this will help the school run smoothly. 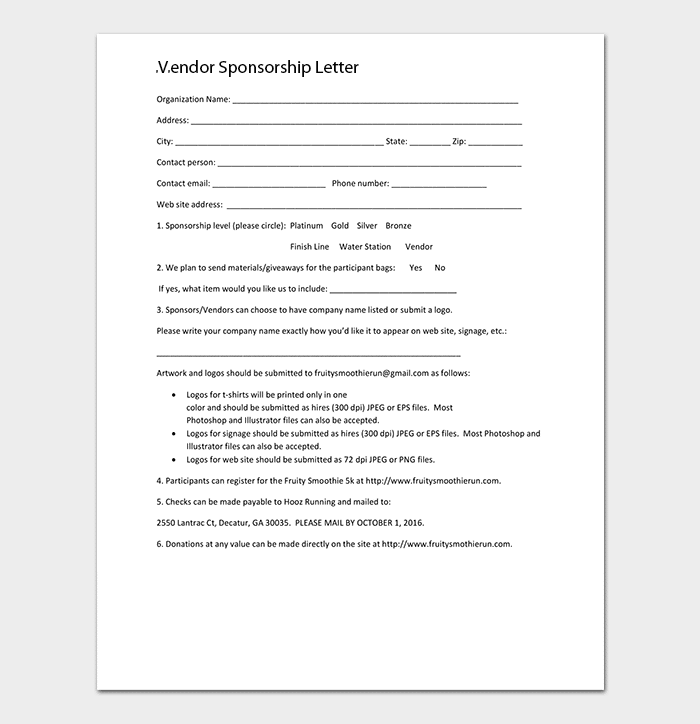 This is a letter written by the sponsors to those who request for sponsorships to let them know that their sponsorship has been granted. 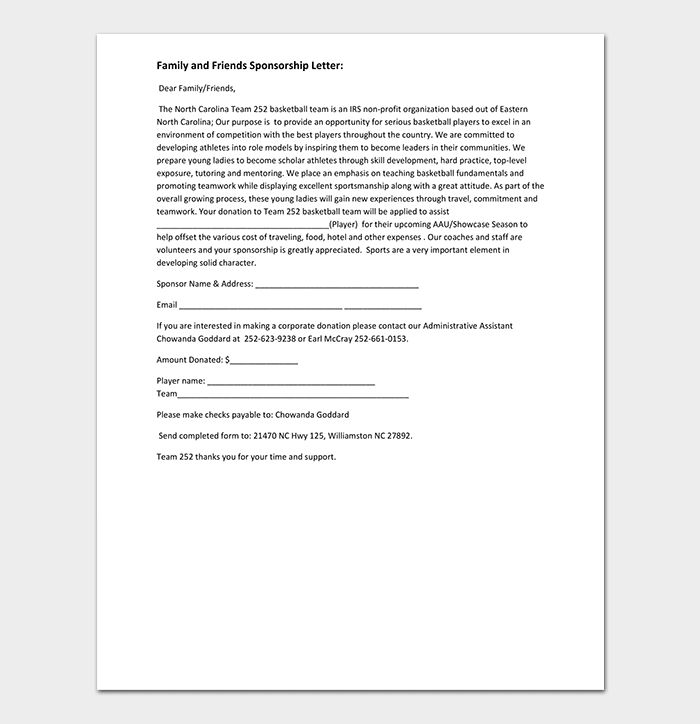 It helps the sponsors to mention everything that should be included in the letter. 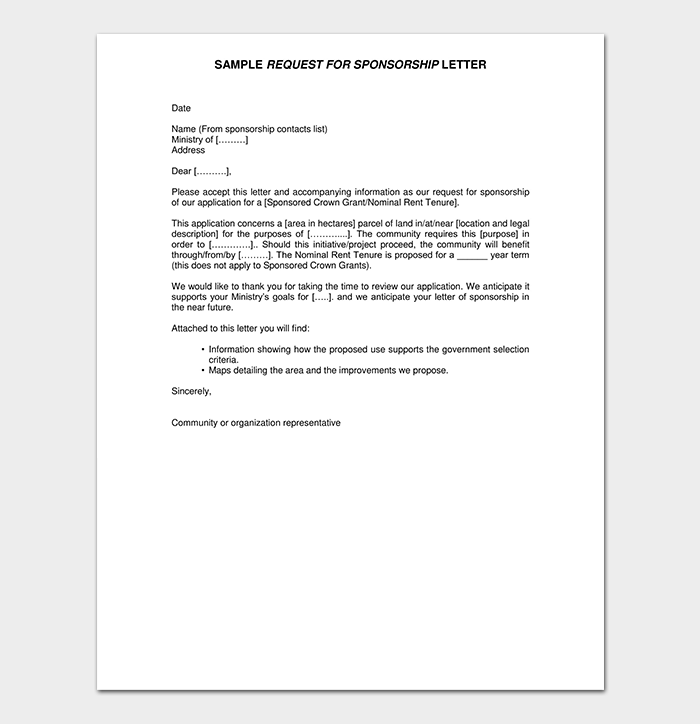 Address your sponsorship request letter to the right person; you should also ensure that you use the correct address. 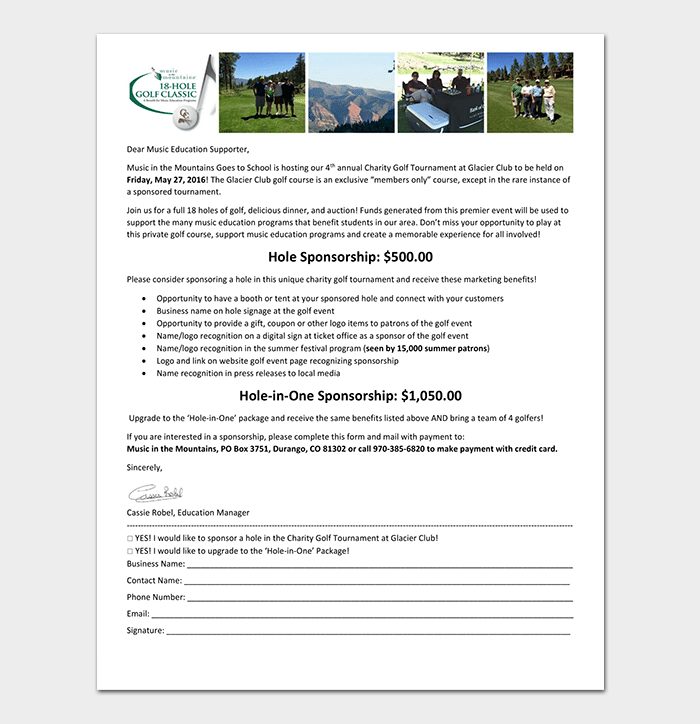 Have all the information about the individual sponsor or the company in question. 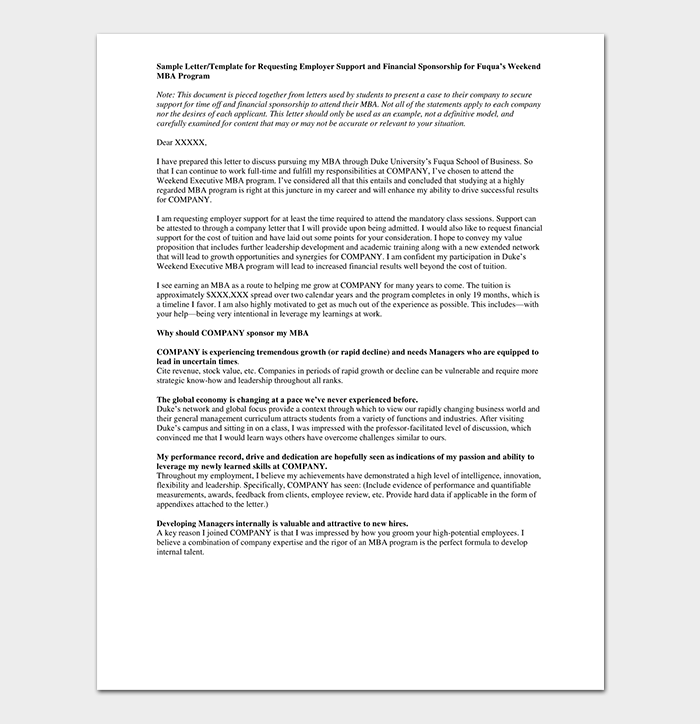 You should be well up to date with the whole information and guidelines from that company about their charitable sponsorship and remember to ask for a copy. 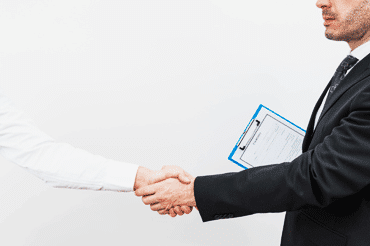 Follow up your application by either giving the organization a courtesy call to ask for an appointment with your sponsor. Step one: Start by writing a sentence or two stating your background, history, your skills and lastly experience. 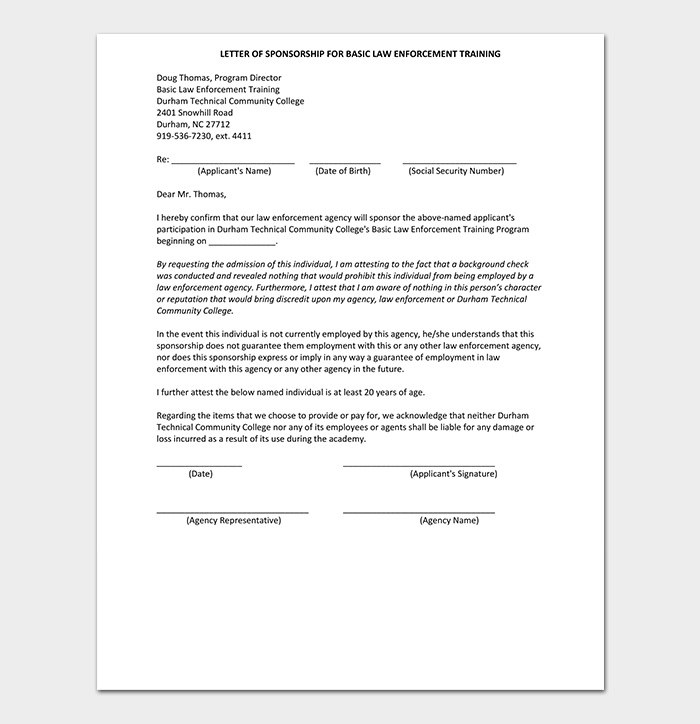 Step two: State the reason for writing this letter, describe in detail the event or the cause you are seeking help for, ensure to indicate the date, venue and other things that relate to the event. Step three: Now you should explain to them why they need to help you and do not forget to mention why you cannot afford to sponsor yourself, also mention how they will benefit by helping you. 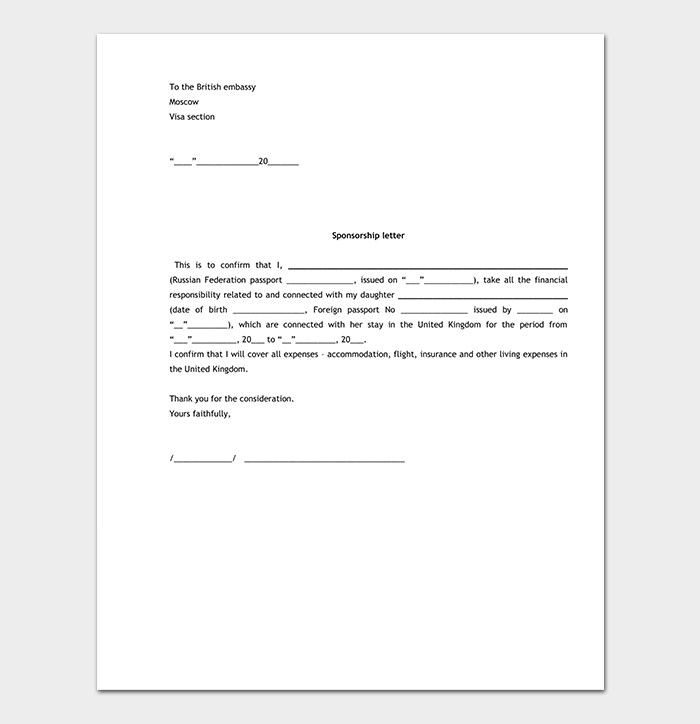 Step four: Express your gratitude especially for taking their precious time to read your letter and for considering it. 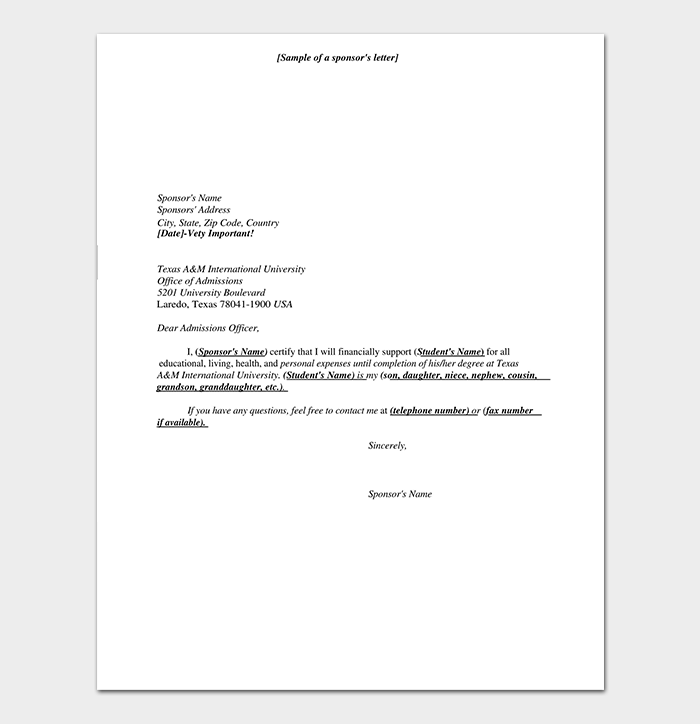 Step 5: Proofread your letter to avoid sending it to your sponsor with a lot of errors; this may ruin your image and cause rejection by the sponsor. 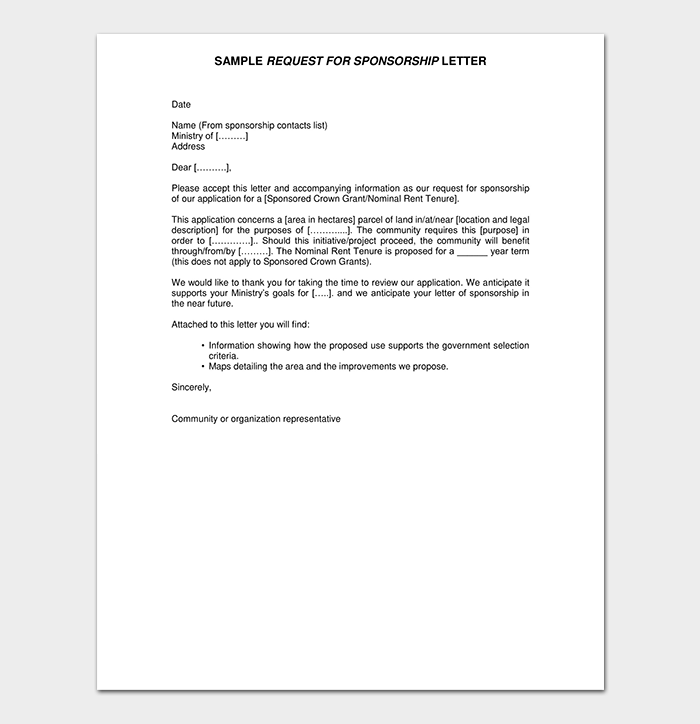 Step 6: Follow up your sponsorship request letter; this will help you know who rejected it and who accepted it.